Private air charters via Indianapolis Executive Airport (TYQ) are the best ever thanks to the CFG Difference. Charter Flight Group first conceived of the CFG Difference over 30 years ago and this winning formula has served us well ever since. The keys to the CFG Difference—our formula for success—are so simple, we often wonder why our competitors do not apply them. We begin with safety, then build on that with security, and finally add our world class service provisions. We simply believe that service matters little unless a private air charter via Indianapolis Executive Airport (TYQ) or anywhere else is safe and secure. To this end, we require all 6000+ aircraft be maintained in pristine condition, ready for flight at all times. To achieve this end, we require all members of our program comply fully with FAR Part 135 regulations, then submit to ongoing and regular safety audits via third party inspectors. 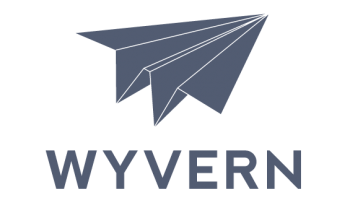 We use the services of both Wyvern and ARGUS to ensure that compliance is 100% at all times. We further use these services to ensure that once a pilot and flight crew has passed our rigorous screening process, they likewise remain both compliant and professional at all times. Any failing in this regard are summarily dismissed from the program. This is tough, we know, but we expect that each client is provided with the absolute best in safety, comfort, and more importantly, security. There is no room for negotiation here. All this permits us to then provide the best in Private Air Charters via Indianapolis Executive Airport (TYQ), for with such a massive fleet at our disposal at all times, we can provide the most flexible options and the best in luxury. Indeed, whether you need a Cessna Caravan for a quick trip to Chicago or something in Intercontinental range; if you need a cargo jet or a group airliner; whether seeking a one way, on demand private air charter, or even would like to fill an empty leg—we have the most choices available. In other words, we make a difference. The CFG Difference in private air charters via Indianapolis Executive Airport (TYQ) is initially noticed on phoning in. You can reach a private air charter consultant 24/7/365 at 1-888-634-7449. Each is a professional with years of experience in booking private air charter flights. Each will book what you need and can generally have you wheels up in under four hours if necessary. If you are unsure what aircraft will work for your private air charter flight, each will carefully help you determine which will work best in your case. You will be provided with an instant price quote in all cases and if you require ground transportation, arrangements will be made. When you are ready to book your private air charter via Indianapolis Executive Airport (TYQ) or any other airport, just call us at 1-888-634-7449…now, if you’d like.